In honor of the 100th anniversary of the day Edward Drummond Libbey gave the deed to what is now Libbey Park to Sherman Day Thacher, our community selected the Ojai Day poster by popular vote, through social media. The Ojai Valley Museum generously provided five vintage postcards on which the community could weigh in on their favorite. After two weeks of feverish voting the Ojai community selected the tranquil image above. Since the poster selection was announced at the September 27 City Council meeting, many have observed how little the architecture of our small town has changed over the years. Although the cars have changed and we have added a stop light at the Post Office tower, the intention of Mr. Libbey’s vision remains intact, much the same way the heart and soul of our community continues to beat through generations of change. 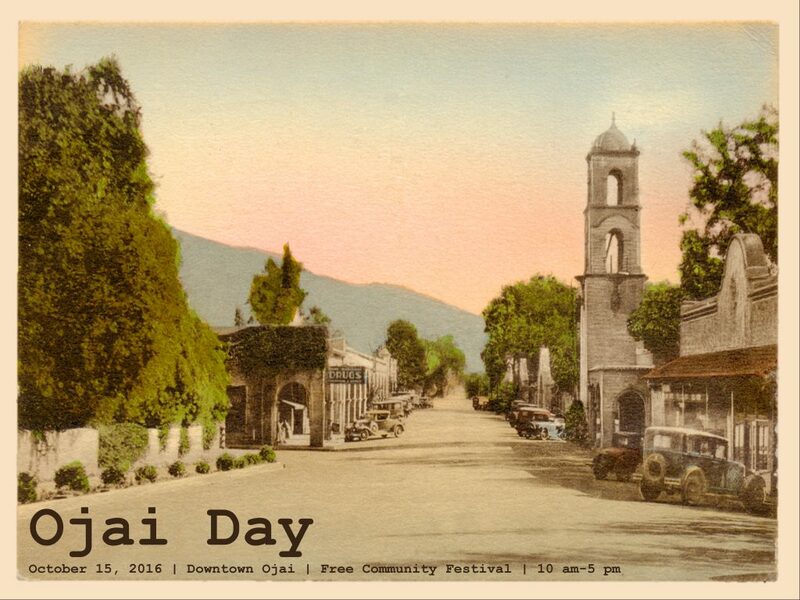 This year’s poster and posters from previous years will be available for purchase at the Information Booth on Ojai Day.